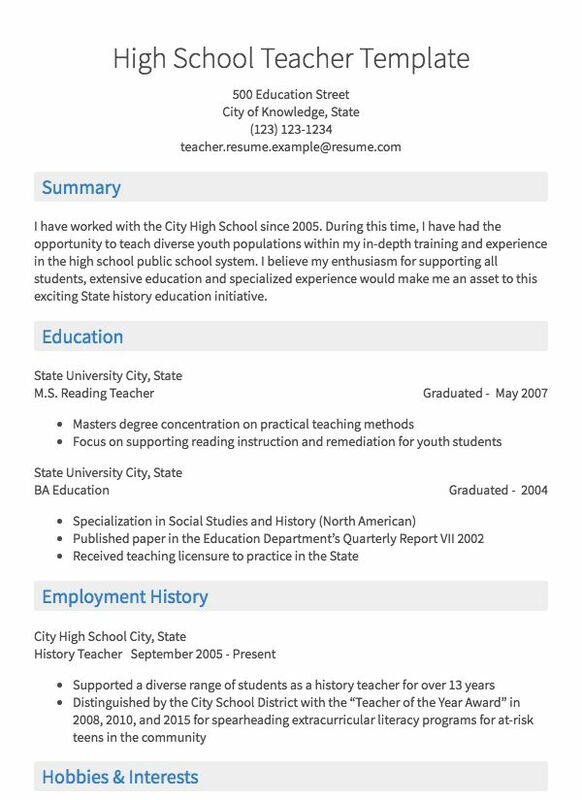 I have worked with the City High School since 2005. During this time, I have had the opportunity to teach diverse youth populations within my in-depth training and experience in the high school public school system. I believe my enthusiasm for supporting all students, extensive education and specialized experience would make me an asset to this exciting State history education initiative. My professional interests include reading current education journals and studies, attending skill building workshops for educators, attending seminars and conferences on public education and history studies. It is always my goal to provide my students with a rich educational experience where they actively learn, as well as understand why they are learning it. 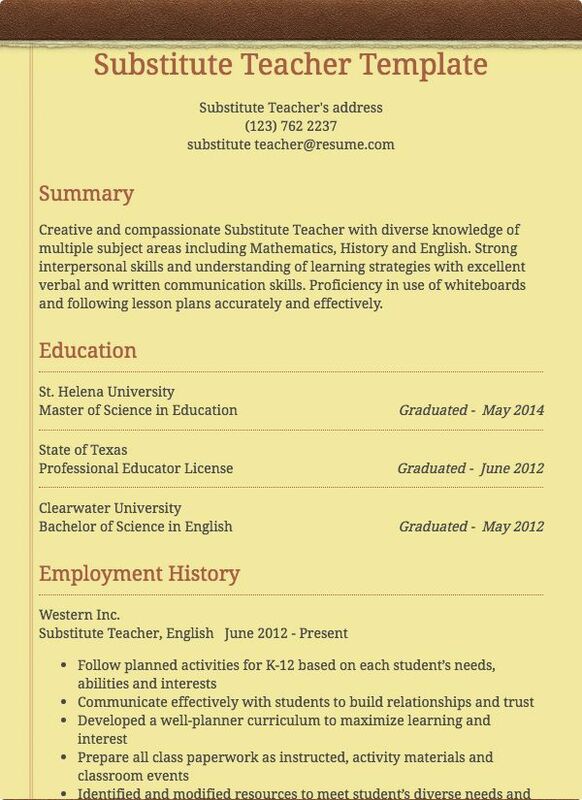 Teacher resume examples are a crucial source of information for anyone looking to get a job as a teacher. Teachers have the opportunity to obtain many specialities within their profession, which can vary greatly depending on their skillset, industry, and location. While teachers are often employed in public education as primary, middle school, and high school teachers, teaching professionals can work for a wide range of employers, such as private school institutions, international language schools, private and public post-secondary institutions like colleges, universities, and technical schools, and private businesses. Responsibilities and tasks for teachers can be very different for each position and employer. Common responsibilities for teachers can include imparting relevant and specialized information, maintaining an orderly classroom, providing learning material and feedback, and preparing students for examinations. 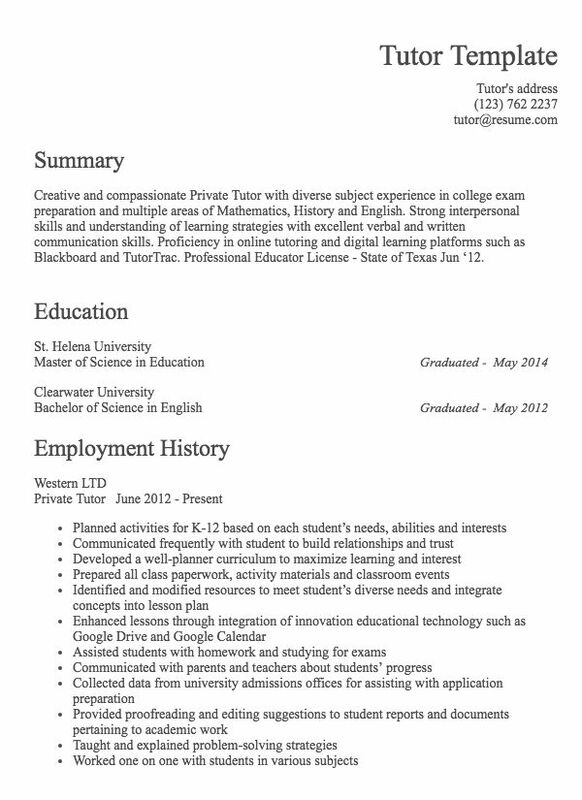 Being hired as a teacher generally requires a combination of education and experience. Depending on your speciality, industry, and location, teachers may also require certain certifications and memberships with associations, professional communities, or unions.